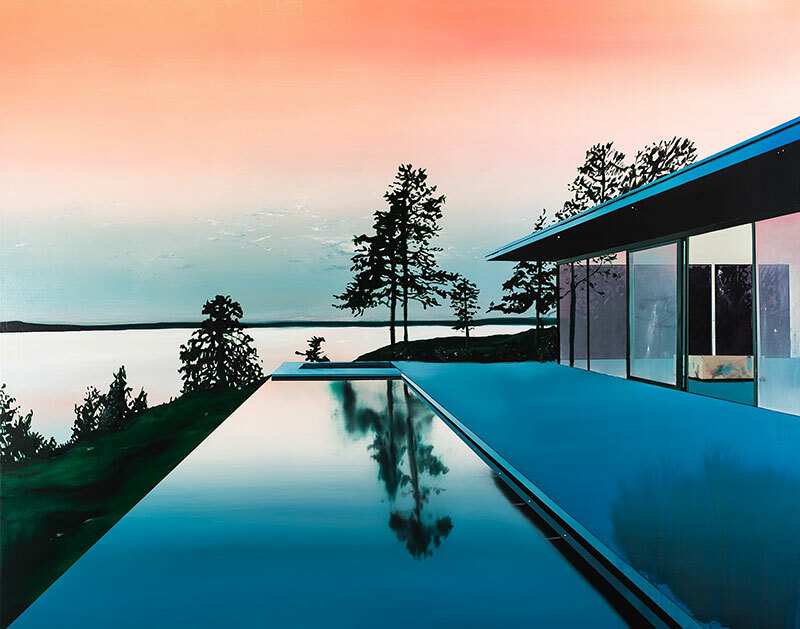 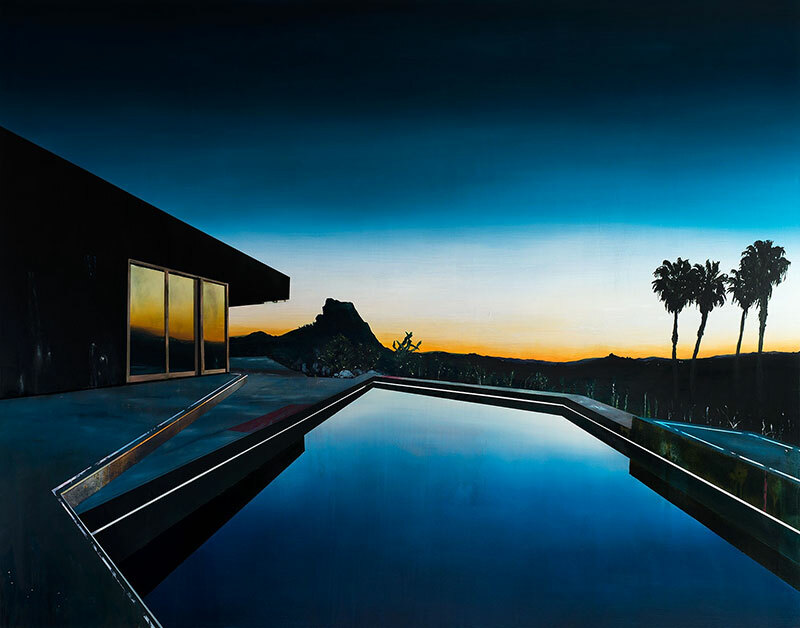 Hyperrealistic paintings of interior scenes at night by artist Laurence Jones based in Reading, UK. 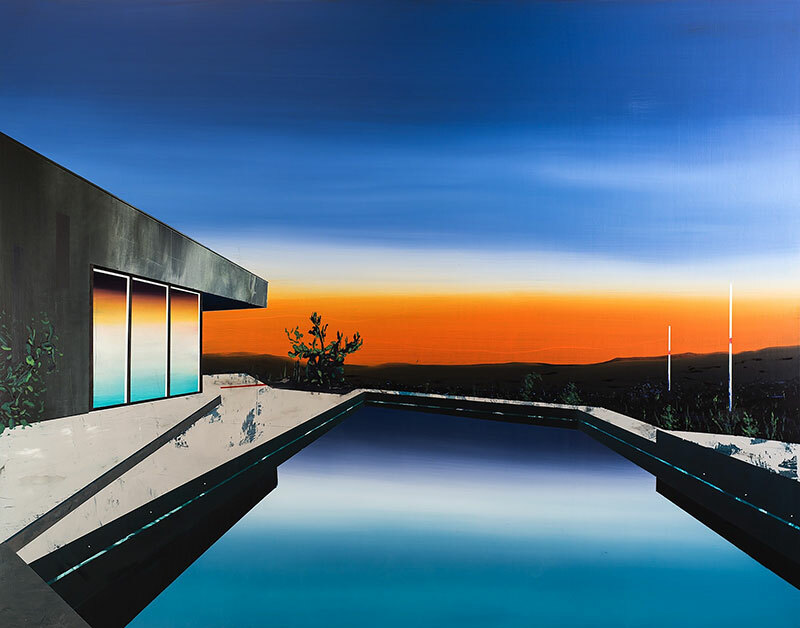 He draws from a pool of collected images that are digitally edited and serve as the starting point for his process-based practice. 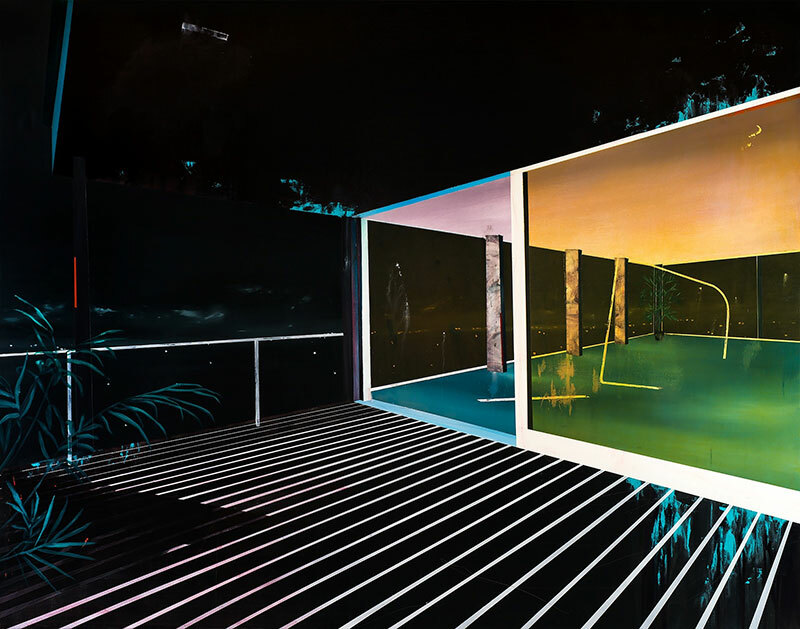 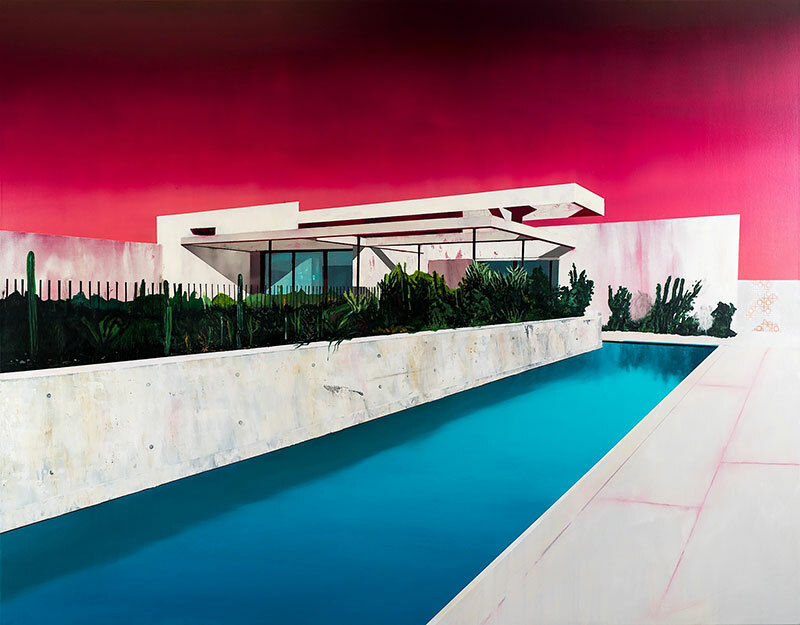 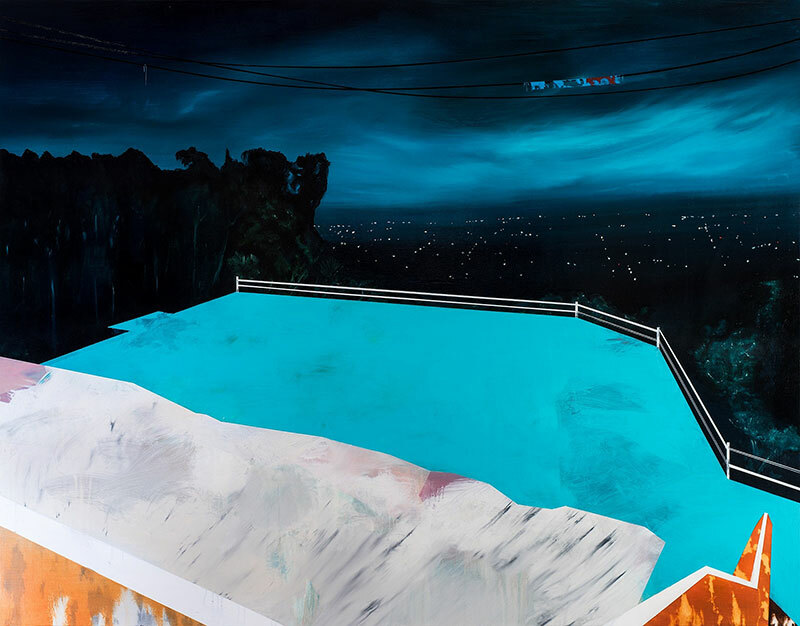 Jones describes the scenes as "dealing with the nature of the postmodern gaze, and how this is affected by fabricated spaces." 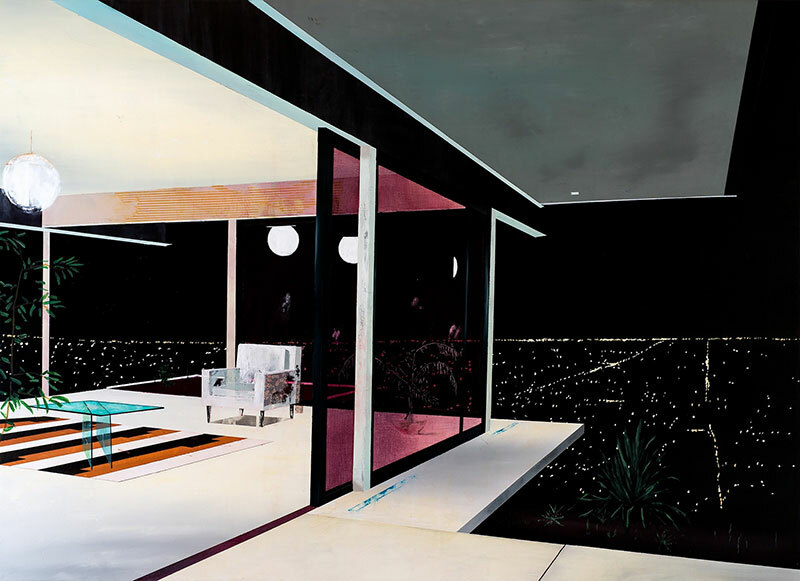 Some elements in the paintings are scanned in and collaged directly from film sets which enforces the overall aesthetic of the fabricated image. 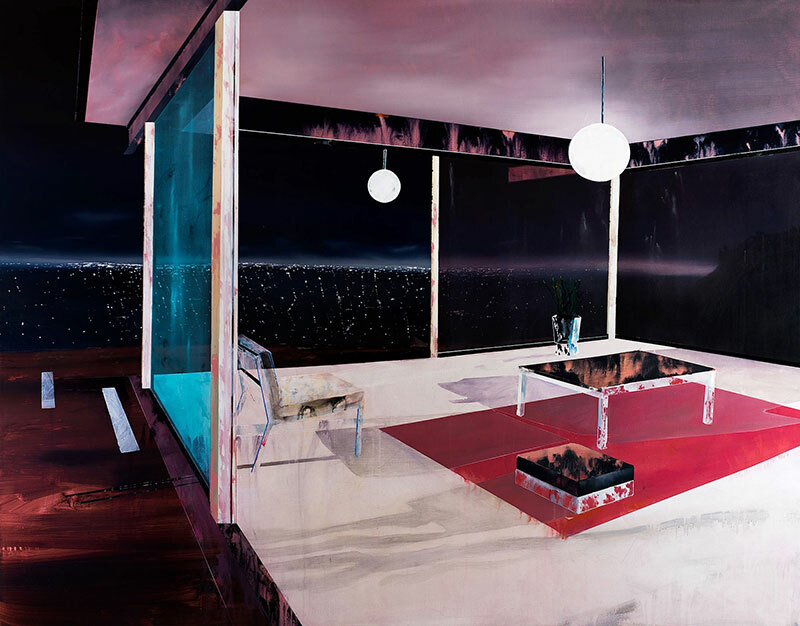 Hyperrealistic paintings of interior scenes at night by artist Laurence Jones based in Reading, UK.